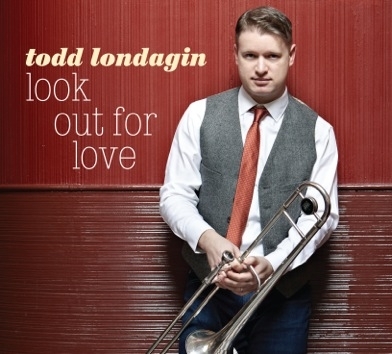 I met and admired the trombonist and singer Todd Londagin several times in 2005 and onwards; he was one of the crew of cheerful individualists who played gleeful or dark music with the drummer Kevin Dorn. A fine trombonist (with a seamless reach from New Orleans to this century) and an engaging singer, Todd is someone I have faith in musically. But when I received his second CD, LOOK OUT FOR LOVE, I hardly expected it to be as remarkable as it is. On it, Todd sings and plays (occasionally doing both simultaneously, through an Avakian-like graceful use of multi-tracking . 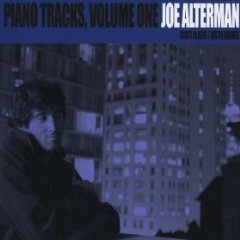 . . even sounding like Jay and Kai here and there), with a splendid small band: Pete Smith, guitar; Matt Ray, piano, Jennifer Vincent, string bass; David Berger, drums. Singer Toby Williams joins in on BRAZIL. The presentation is neither self-consciously sparse or overproduced. With all due respect to Todd, the foursome of Pete, Matt, Jennifer, and David could easily sustain their own CD or gig. I had only met Matt (unpredictable) and Jennifer (a swing heartbeat) in person, but this “rhythm section” is a wonderful — and quirky — democratic conversation of singular voices, each one of them a powerful yet gracious rhythm orchestra. The pop classics that follow are always served with a twist — a slightly different tempo, a different rhythmic angle, a beautiful seriousness (I’ve never heard CONCENTRATE interpreted so well). Maybe Todd is understandably afraid of being pigeonholed as Another Interpreter of The Great American Songbook — with all the attendant reverence and dismissal that comes with that assessment — so the closing songs are “more modern.” I think he does Stevie Wonder’s I CAN’T HELP IT justice in his own light-hearted, sincere, swinging way. I am not attuned to contemporary pop culture, except to cringe when I hear loud music coming from the car next to mine, so I had no historical awareness with which to approach BUST YOUR WINDOWS. In fact, I thought the title would herald some exuberant love song, “My love for you is so strong, it’s going to bust your windows,” or something equally cheerful. Thus I was horrified to hear Todd sing, “I had to bust the windows out your car,” and all my literate-snobbish-overeducated revulsion came to the surface, as I called upon the shades of Leo Robin and Yip Harburg to watch over me. But then I calmed down and reminded myself just how much fun the preceding nine tracks had been, and that I would be very surprised if Todd — bowing to whatever notion of modernity — had gone entirely off the rails. And I listened to BUST YOUR WINDOWS again. And again. For those who don’t know the song, it was an immense hit for one Jazmine Sullivan in 2008, and there’s a YouTube video of her doing it. The premise is that the singer finds her lover has been untrue with another (not a new idea) but (s)he then takes a crowbar to her lover’s car so that her lover will know what faithlessness does to others. Tough love, indeed. I researched Sullivan’s music video — where she is threatening to unzip herself to a tango / rhythm and blues beat — and disliked it. But I had no patience for her rendition of her own song because I had been struck so powerfully by Todd’s — almost a stifled scream of brokenhearted passion worthy of a great opera’s finish before the grieving one, betrayed, commits suicide. Todd’s performance has no tango beat, no intrusive orchestration: he merely presents the lyrics and melody as if he is showing us his bleeding heart . . . as if he has used the crowbar on himself. It is a performance both bone-dry and powerful, understated and unforgettable. I can’t forget it, just as I keep on wanting to replay LOOK OUT FOR LOVE. You can find out more about Todd here, and after you’ve heard the three samples, I hope you will chase down a copy of this CD. It is wildly rewarding and beautifully-textured music, and it will stay with you when other CDs by more “famous” players and singers have grown tedious. 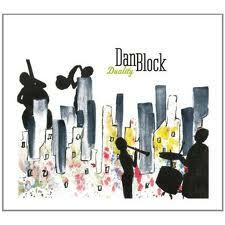 I don’t like “best” or “favorite,” but this CD is magnificently musical in so many ways that it will astonish. Posted in "Thanks A Million", Generosities, Irreplaceable, It's All True, Jazz Titans, Mmmmmmmmmmmmm!, Pay Attention!, Swing You Cats!, That Was Fun!, The Heroes Among Us, The Real Thing, The Things We Love, Wow!